Cover Verse: Hey, how's your New Year going? Shofar, so good! 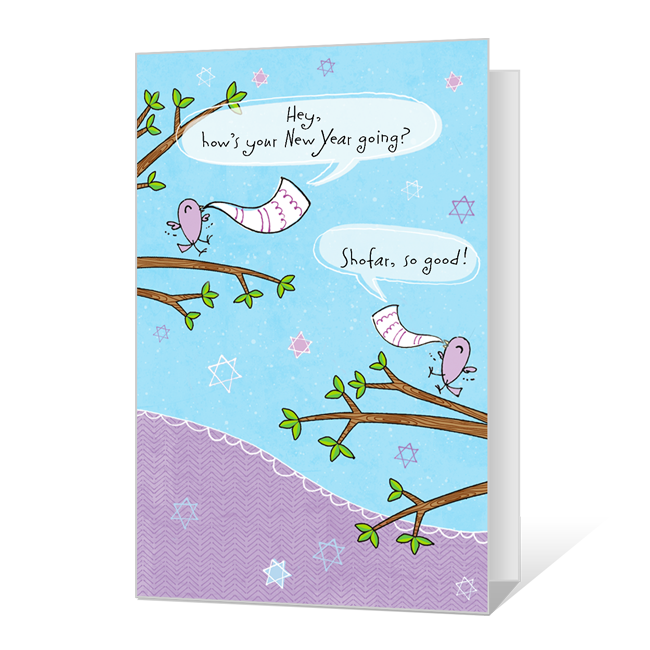 Inside Verse: Wishing you many smiles on Rosh Hashanah and always!